Biochar is a soil amendment that locks carbon in the soil, improves the availability of soil minerals to plants. It slows down the rate of decay, allowing organic matter to last longer in the soil. It has no significant nitrogen, phosphorous, or potassium. 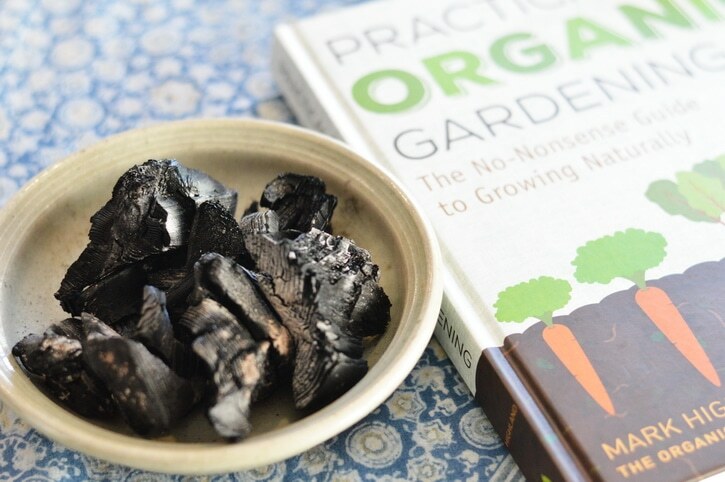 But biochar may hold the key to reducing green house gases, improving garden yields, improving soil structure and water retention, and reducing the need for expensive soil amendments in both back yard gardens and farms. Since this was my first encounter with biochar imagine my surprise when, just a few days later, I was reading Practical Organic Gardening, The No-nonsense Guide to Growing Naturally by Mark Highland (Quartro Publishing: 2017) and I came to the section, “Biochar: A Supercharger for Soil Productivity” (page 77). That’s two encounters in less than a week. You have my attention. What is biochar and why should I care? I learned from reading Mr. Highland’s book, that biochar is a 2,000 year old technology that was used by the ancient people in the Amazon rainforests of Brazil. Farmers took charcoal and mixed it into their soil, unlocking their soil’s productivity. Known as terra preta, or black earth, scientists have been studying the persistent fertility of these soils for many years. Terra preta soils yield so highly that the farmers of the area sell the soil itself as a soil amendment to other farmers. “Rich in humus, pieces of pre-Columbian unfired clay pottery, and black carbon, it’s [terra preta is] like a microbial reef that promotes and sustains the growth of mycorrhizae and other beneficial microbes and it has been shown to retain its fertility for thousands of years.” — Magic Soil of the Lost Amazon by Allan Balliett from Acres USA February 2007 Vol. 37, No. 2. While biochar, itself causes the soil to release it’s nutrients more slowly to plants, biochar on its own has little nutrient value. It has a slight potassium rating but no nitrogen or phosphorus in and of itself. These nutrients are burned off during pyrolysis or are bound up in the charcoal, making them unavailable to plants. While the actual N-P-K values of biochar vary with the organic matter it is made from, biochar must be “charged” with nutrients in order to release nutrients into the soil. This can be accomplished in the home garden in several ways. Mark Highland, in Practical Organic Gardening, suggests thinking of biochar as an empty battery that needs to be charged before it can function. Biochar is often mixed with flour or another sources of carbon to give microbes a food source. It can then be further mixed with worm castings or finished compost to add the organic matter needed to “charge” the Biochar. Use a ratio of 50/50 biochar to compost or worm castings to create a blend that’s ready to add directly into the garden. Allow 2 weeks for the biochar and organic matter to sit before using directly in the garden or in potting soil. Biochar can also be used on the surface of animal bedding and then incorporated into a compost pile when the animal bedding is scooped and replaced. Biochar has some advantages when used with livestock. It persists in the environment. It reduces odors. It traps nutrients and minimizes noxious greenhouse gas emissions. It also reduces diseases among livestock. Add 1 inch of biochar on the surface of animal bedding. When this bedding is composted with the biochar, the biochar will persist in the finished compost and is ready to be added to the garden with the compost. If you don’t have time to wait for the compost to finish, biochar can be charged by soaking it in manure tea, comfrey tea, liquid fish fertilizer or liquid kelp fertilizer for 24 hours. Use a 50/50 ratio by volume of liquid fertilizer to biochar. The biochar will absorb most of the liquid in this time. When charged biochar is mixed with garden soil, biochar has a high carbon and low ash content, giving it a slightly alkaline pH. It’s highly porous character gives it a high surface area to hold soil nutrients and beneficial microbes. Apply at a rate of 1/2 inch over the surface of the garden and till into the top 5 inches of soil, the first time you apply it to the garden. 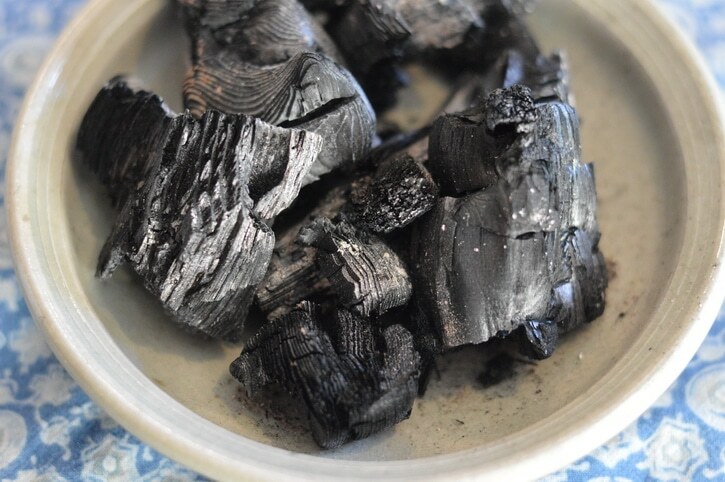 Biochar is simply natural charcoal or char that has been given an agricultural use. (Not charcoal briquets, which may have petrochemicals added.) 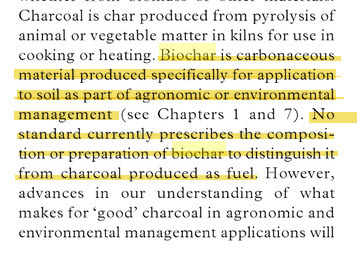 Biochar is not the same as activated charcoal, which is produced at very high temperatures requiring special kilns. You may already be making charcoal at home by damping down your woodstove at night before you go to bed. When you get up in the morning, if you have an air tight woodstove, you’ll find the logs you put on the fire the night before have turned into light weight, porous, charcoal. If you were to take these logs and stop them from reigniting on exposure to air, you would have made “char” that becomes biochar when it is used in an agricultural purpose. 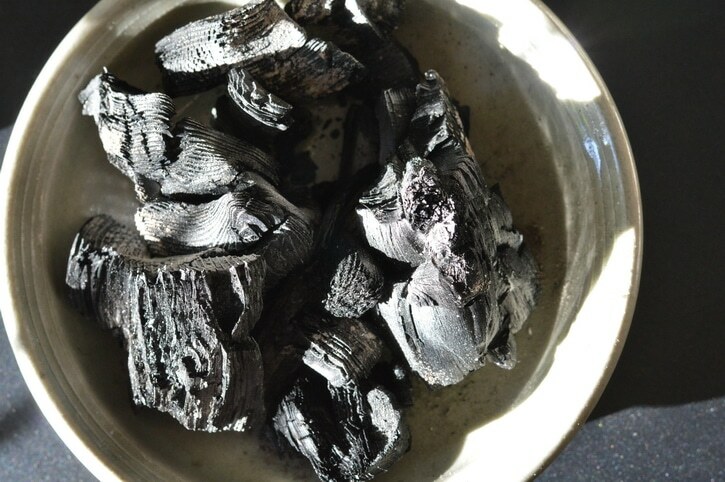 It’s the same process used by artists to make willow charcoal or preppers to make char cloth — pyrolysis. 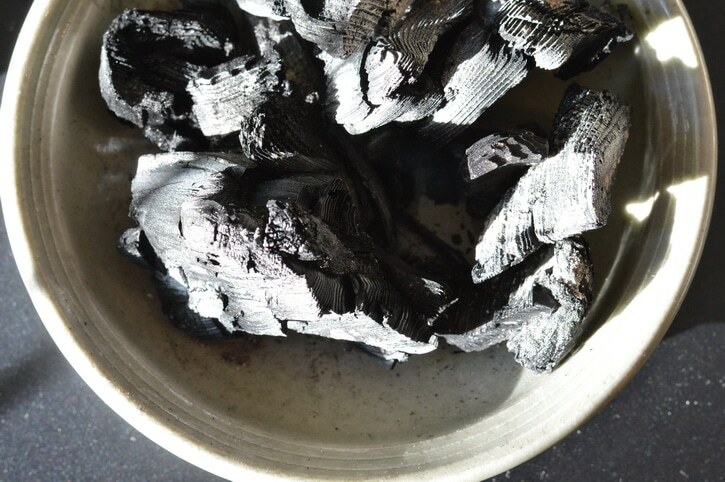 Place these charred logs in an air tight can, ensuring that they won’t reingnite and protect them from the weather. In the spring crumble the char by giving it a sharp whack with the back of a shovel. It should be granular and not powdered. Stir it into some finished compost at a 50/50 ratio. Wait two weeks. It’s now ready to use. Highland suggests spreading a 1/2 inch layer of this biochar blend over your garden. Then mix it into the top 5 inches of your garden soil. If you plan to use this biochar blend for container growing mix 1 cubic foot of the 50/50 biochar-compost blend with 9 cubic feet of potting soil or other growing media. It’s important to charge the biochar with worm castings or compost before adding it to the soil. If char is added directly to the soil without first charging it, soil fertility will appear to decrease because the nutrients in the soil will migrate to the biochar like steel to a magnet, making them unavailable to plants. Farmer’s who add charcoal directly to their farm fields find that weeds are weakened and greatly reduced for a year, while the field is left fallow. The following year however, there will be increased production that will persist, while the weeds from previous years are greatly reduced. The application rate is 1 ton of charcoal per acre. Biochar’s ability to support and increase populations of beneficial soil microbes and Mycorrhizal fungi is its superpower. By encouraging soil microbes biochar enables persistent fertility in probiotic rich soils. Conventional agriculture’s salt based fertilizers have depleted the microbial life in soils, leached into rivers, lakes, and oceans killing aquatic life and leaving dead zones where no life will grow. Biochar can remediate soil and bring it back to life, provided that land is returned to organic production. And it can do this economically and quickly. When biochar is charged with beneficial bacteria and fungi, it can bring increases in crop yields in one season. You can make biochar in the garden by doing a controlled burn in a trench right in your garden area. About 50% of the carbon in the organic matter is sequestered in the biochar. The remainder is given off as burning by-products. First steam is burned off, evidenced through white smoke. Next resins, sugars, and other wood products are burned off as evidenced by a yellow or orange flame. When the flame is blue, with no further yellow or orange flame in evidence, the trench should be covered with soil to a depth of 2 inches to cut off the oxygen supply to the fire. Leave it to allow the fire to cool. When the trench is opened again, be prepared to douse the biochar well, as the introduction of oxygen can sometimes cause the fire to reignite. Once the biochar is cooled, it can be crushed by hitting it with the back of a shovel. It should be granular not powdery. 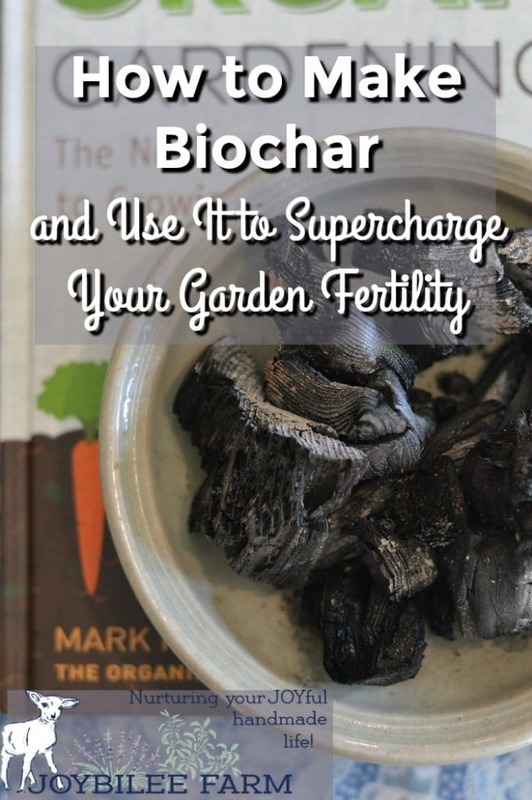 Charge your homemade biochar by blending it 50/50 with compost and you’re ready to introduce all the benefits of biochar to your own home garden. While this method does introduce carbon emissions into the air, it is a free way to create biochar. Biochar can be made more efficiently using a charcoal retort. Here are instructions to make your own. Small amounts of biochar can also be made in a can like this. Practical Organic Gardening is an encyclopedic reference guide for those who wish to grow food, flowers, and herbs naturally. It covers in 12 chapters the basic information everyone needs to build soil fertility, conserve water, fight garden pests and diseases holistically, plan, propogate, and plant the garden and recycle life back into the garden. 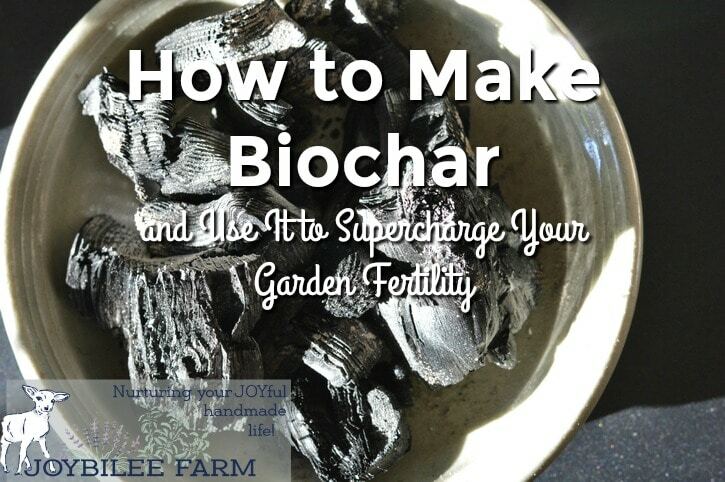 Biochar is just one way to recycle life back into the garden. The book has full color photos, plant disease tables, and helpful illustrations. I found the photos of beneficial insects very informative, while the tables of common plant diseases I will reference over and over again. Though I don’t consider the book a comprehensive guide to all things organic, it is a helpful companion alongside Rodale’s Ultimate Encyclopedia of Organic Gardening and Eliot Coleman’s The New Organic Grower. This book will appeal to the beginning organic gardener. It also has enough detail regarding newer technologies that it won’t be boring to the experienced organic grower. One weakness in the book was that the author used $100 words in many places, where $1 words would do. The pretentious vocabulary may be a turn off to those who are new to organic gardening, and don’t yet have a grasp of the jargon within the soil sciences. Further, sometimes big words can be used to cloud some big issues which can leave confusion or passivity in the reader’s mind. The book does not have a glossary to help the reader out. Highland is an authority in soil sciences with a M.Sc. degree in compost and potting soil. He works as a professional consultant for the EPA. As such you will find many of the same prejudices against labelling GMO and GE crops as “different” as are typical of those who work for the government or in industrial agriculture. Instead he suggests in Practical Organic Gardening that there are no differences between genetically modified crops and natural selection or hybridization. (Note that the author is not a gene researcher nor botanist.) This isn’t honest or truthful and serves to confuse the reader. 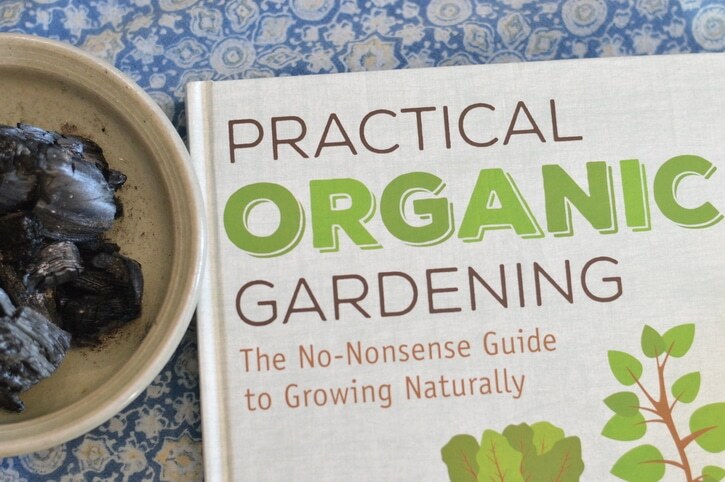 It seems strange in a book that is strictly focused on organic gardening. He fails to mention that both gentically modified plants (GMO) and genetically engineered crops (GE) cannot be legally used in organic agriculture, and thus should also be omitted from organic gardening. However, hybridized and improved selections of various crops are in fact permitted in organic farming, and can bear the certified organic label if other organic criterion are met. While this confusion isn’t a big detraction from the good in the book, always do your own research. Find out more about this book here. Suzette P. Galinato, Jonathan K. Yoder, David Granatstein, The economic value of biochar in crop production and carbon sequestration, Energy Policy, Volume 39, Issue 10, 2011, Pages 6344-6350. Ling Zhao, Xinde Cao, Ondřej Mašek, Andrew Zimmerman, Heterogeneity of biochar properties as a function of feedstock sources and production temperatures, Journal of Hazardous Materials,Volumes 256–257, 2013, Pages 1-9. Ondřej Mašek, Peter Brownsort, Andrew Cross, Saran Sohi, Influence of production conditions on the yield and environmental stability of biochar, Fuel, Volume 103, 2013, Pages 151-155. Yining Sun, Bin Gao, Ying Yao, June Fang, Ming Zhang, Yanmei Zhou, Hao Chen, Liuyan Yang, Effects of feedstock type, production method, and pyrolysis temperature on biochar and hydrochar properties, Chemical Engineering Journal, Volume 240, 2014, Pages 574-578. Full disclosure: I received a review copy of Practical Organic Gardening from Quarto Publishing. This review is my honest opinion of this work. I did. Biochar begins as charcoal and then is charged with microbes through mixing with compost, urine, kelp, wormcastings, and other microbe rich soil amendments, before being used on the soil. While those who sell biochar want to create something that makes it different from charcoal, the reality is that both are created through pyrolosis from the same materials, using the same process. (from the book Biochar for Environmental Management edited by Johannes Lehmann, Stephen Joseph). Biochar can be made more efficiently in kilns and science can master the by-products of Carbon production more environmentally sustainably. But the finished product is the product of pyrolosis, making it in layman’s terms a type of charcoal. Hey Gil, Chris gives us free and valuable info all the time! She has been an amazing mentor to all of us. No need to speak so disrespectfully to her. If you don’t agree with her, at least communicate that kindly or say nothing.